Maple syrup is better for the environment than other sweeteners like table sugar (made from sugar cane or beets) because it is not a field crop. Field crops are harvested in their entirety. Instead we as sugarmakers take only a small amount of what the maple tree provides (sap for a few weeks each spring) and we boil that down to make maple syrup. The natural ecosystems and our beautiful wooded landscape remain preserved. Not only that, maple forests, or as it’s known the sugarbush, are a slow growing crop- measured in decades not weeks to maturity. 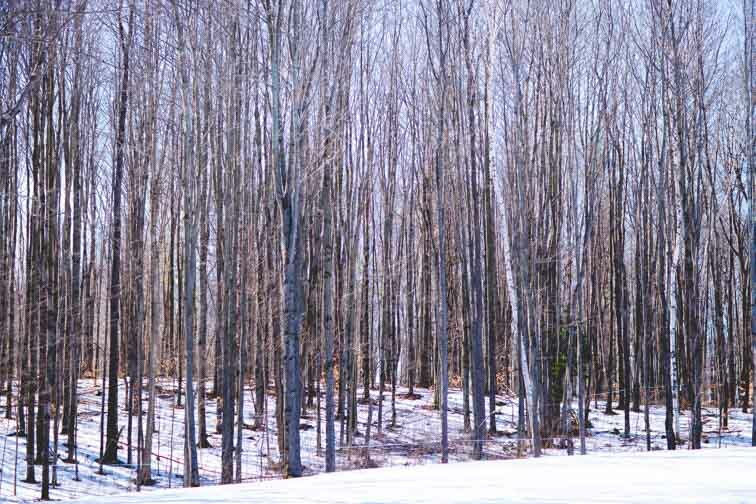 So it is in the sugarmakers best interest to care for the long-term health of their sugarbush. 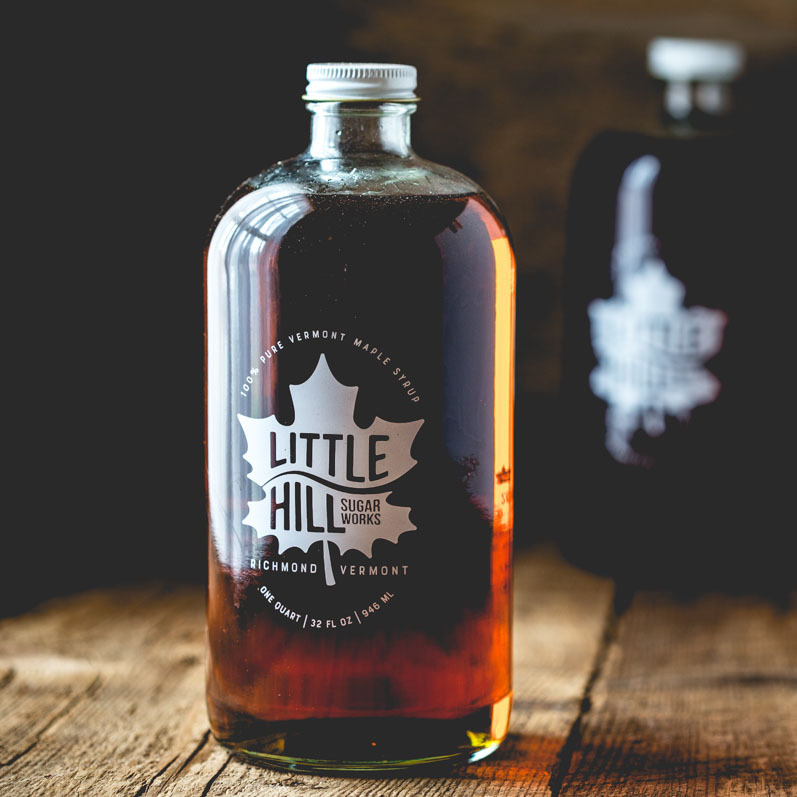 Here at Little Hill Sugarworks, our maple sugaring operation does not use RO which requires added energy. Nor do we use a vacuum system to run our sap lines. Plus we fire our evaporator with wood which is carbon neutral. These measures are more sustainable and better for the environment than sweeteners and sugars made through refining crops from large agribusiness. 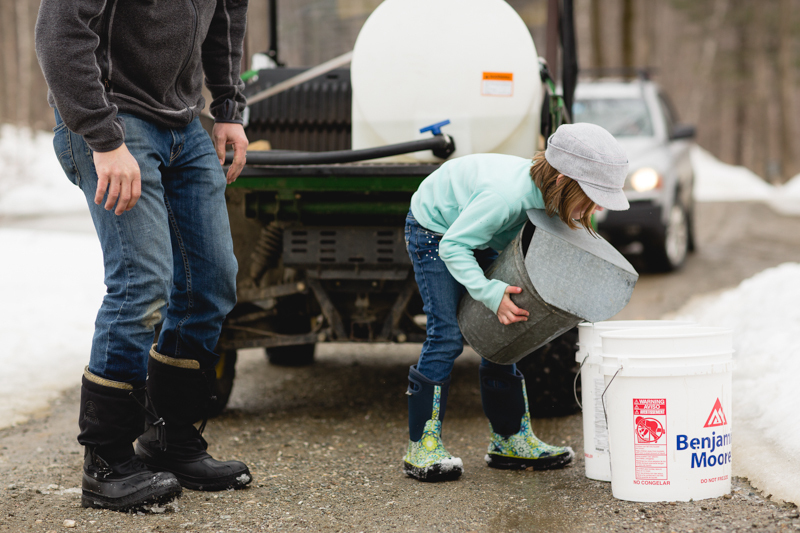 Because of the nature of how it is made, when you choose maple over other sweeteners, in all likelihood you are supporting a family like ours. This helps to support rural economies here in Vermont, all over the north east, Canada and in other parts of the United States. Along with hay and dairy it is among the top exports for our little Green Mountain state. Supporting the maple industry supports our state. For those of you who are new to learning about maple syrup, I should also mention that there are such things as maple syrup aggregators. (Aside: I’m not sure if there is another name for this. Please leave me a comment below if you know of another one.) These are companies (almost all of which are also family owned and run) who buy bulk maple from many maple producers and pack it for sale. This is a good thing, and heres two reasons why: First, for many sugaring operations, having the ability to wholesale to these aggregators is a very important way of making their operations work as the packing and retailing can be expensive and time consuming for sugar houses with a limited work force. For us- it’s just Jason and me, so I can only imagine that if (when) we expand, the work to keep up with bottling and selling will quickly pile up. Secondly, maple syrup aggregators are able to provide large, stable, and reliable sources of maple syrup for large retailers like Costco and Whole Foods. Without these aggregators, it would be very difficult to complete a supply/demand cycle and for everyday folks to buy pure maple syrup all over the country and globe. 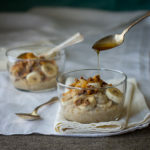 Steel Cut Oats with Bananas, Walnuts and Coconut Chips from Maple: 100 Sweet and Savory Recipes Featuring Pure Maple Syrup. Okay this one may sound really obvious, so stick with me a sec. Maple tastes good but it also has great flavor. And that’s an important distinction when comparing a cup of maple syrup to a cup of white table sugar. Flavor is the combination of smell plus taste (the five tastes are salt, sour, bitter, umami and sweet.) Other sweeteners like table sugar or corn syrup do not add flavor. They add sweet taste only. 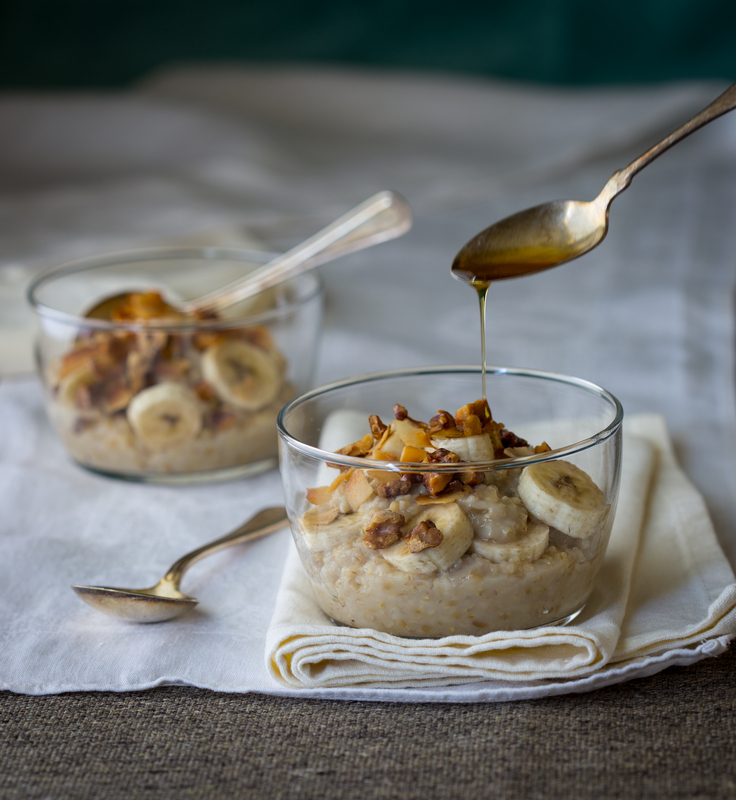 Maple enriches recipes with both sweet taste and rich satisfying flavor. Therefore when you sweeten a recipe with it, like this maple sweetened zucchini bread, you get a two for one deal. I’m going to repeat myself here, maple syrup is not healthy, and you should not ADD it to your diet to become more healthy, or to get any nutrients. But replacing other white sugar with maple syrup is healthier because it is sweeter, cup for cup. Therefore you use less overall. Which means less added sugars. There are trace nutrients, minerals and antioxidants in maple syrup, but as long as you are staying under the recommended 2 tablespoons per day, the amount of these micronutrients are not going to have a significantly favorable impact on your health. Maple syrup is also lower glycemic than white sugar. It’s not earth shatteringly so, but it is. So what did I leave out? Leave me a comment below to let me know why you think it’s better to sweeten with maple syrup.